Radiance Motel, Chattarpur, located in South Delhi, is a spacious venue with beautiful interiors and amazing aesthetics. 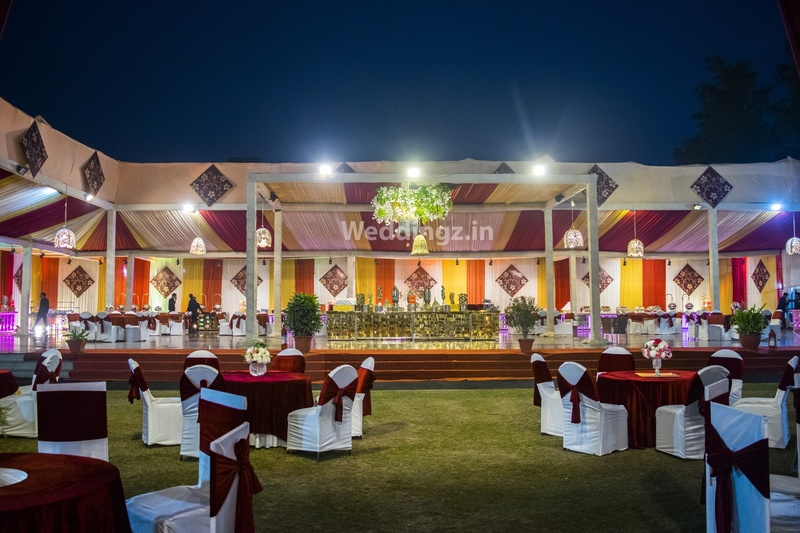 The exquisitely lit banquet hall and vast lawn makes it a perfect location for hosting different kinds of wedding ceremonies. Radiance Banquet Chattarpur has a party area named Crystal Room that is ideal for an intimate wedding with a medium scale crowd. It has a lush green lawn, Meadow that can accommodate a huge crowd, making it ideal for hosting a lavish reception and wedding ceremony. Radiance Chattarpur Delhi serves a wide range of delicacies to choose from in both vegetarian and non-vegetarian food to their guests. The catering consultants provided will work closely with you to ensure that your culinary experience is profound and suitable for you. The decor team takes care of the decoration for your big day allowing you to sit back to enjoy your function. The venue offers a comfortable stay for the outstation guests and offers ample car parking space with valet parking service to their guests for their convenience. It serves alcohol and also allows you to get it from outside to entice your guests. The venue offers complimentary changing room for the bride and the groom on their special day. 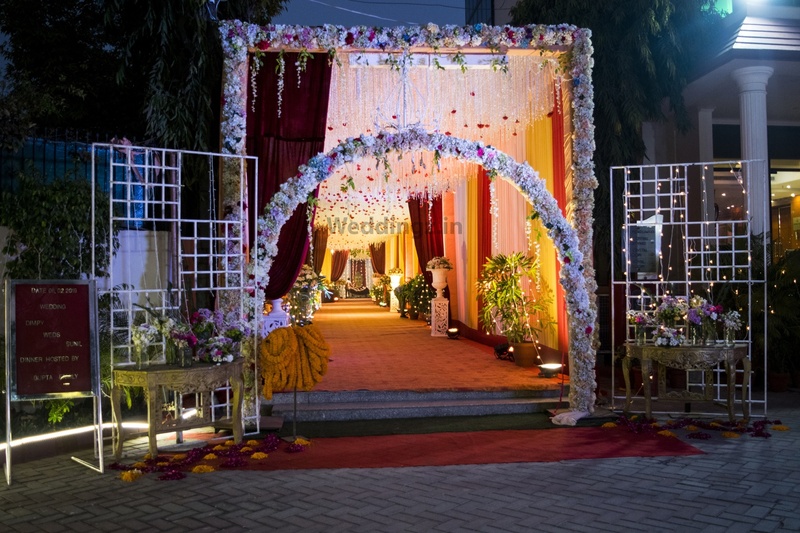 The Radiance Motel, Chattarpur, Delhi is exuberant and lends an ambience that bejewels the wedding leaving a lasting impact on you and your guests. This venue has a small lawn with artificial grass and looks elegant. Their lawn is the main attraction as it has a big pandal inside which is decorated with very attractive red lights. The Radiance Motel located in Chattarpur, Delhi has Wedding Hotels, Banquet Halls, Wedding Lawns and Terrace Banquet Halls. Meadows can accommodate upto 500 guests in seating and 2000 guests in floating. Crystal Room can accommodate upto 250 guests in seating and 500 guests in floating. 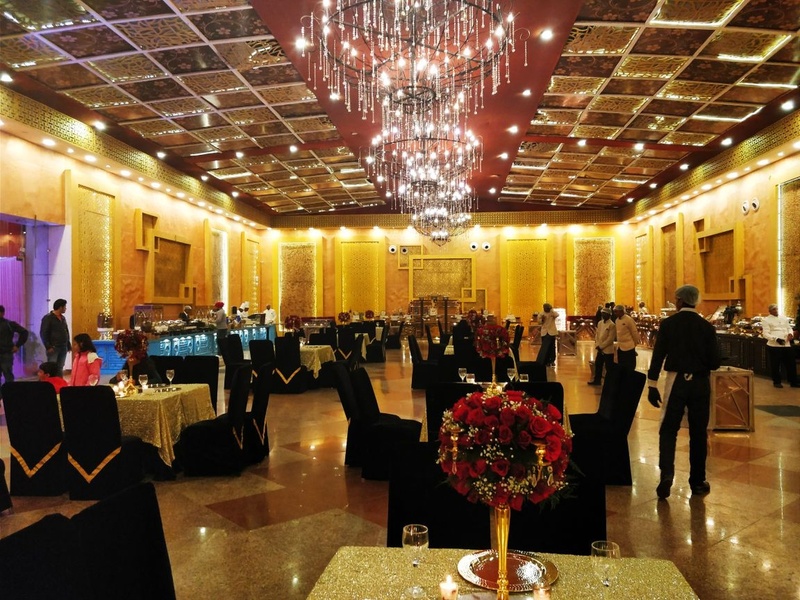 Royal Ballroom can accommodate upto 200 guests in seating and 400 guests in floating. Vegetarian and Non Vegetarian food is served at this venue. Features of this wedding venues are : Food provided by the venue , Non-Veg allowed at the venue , Alcohol allowed at the venue , Outside alcohol allowed at the venue , Music allowed late , Halls are air Conditioned , Ample parking , Baarat allowed , Hawan allowed , Overnight wedding allowed , Decor provided by the venue , Packages starts at Rs 1450 per plate for vegetarian menu and at Rs 1850 for non veg menu. Decoration starts at Rs 50000.